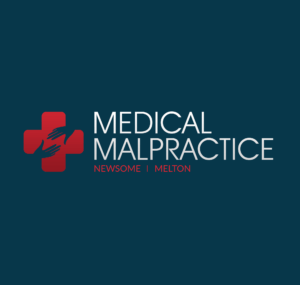 Misdiagnosed Cancer - Radiology Misdiagnosis | Legal advice for people affected by dental & medical malpractice. Radiology is a very specialized medical practice that involves studying results from tests and determining if suspected injuries or diseases are actually present. A radiologist uses X-rays or CT scans after obtaining information from a primary caregiver, along with a list of possible causes for the patient’s condition. Making a correct diagnosis based on radiology exams is critical for the administering of proper treatment methods. However radiology is not a perfect science, and the medical professional has to form a conclusion based on visual evidence compared to previously gathered information such as blood tests, biopsies or other tissue samples, and the outward symptoms exhibited by the patient. Most commonly a radiologist will be called in to find out if a suspected condition actually exists, if there is no way for the primary physician to make a definitive diagnosis. This could include the presence of tumors, cysts or other benign growths, a broken bone or possibly constriction or blockage of a blood vessel. A specialized area of radiology concerns the mapping of the brain and locating possible nerve damage, inadequate function of one or more brain lobes, or the presence of fluid buildup in the cranium. Images gathered are not always conclusive, as many tiny hairline fractures or abnormal growths do not show up as crisp images. This is why a second set of tests is ordered in many cases; if there is no evidence that points to anything but the original suspicion, performing the tests again is often the best way to see if anything was missed on the first try. In the case of malignant growths, radiology tests scanning for signs of a tumor in the lungs, pancreas or other organ may not be repeated even though the symptoms indicate a strong possibility that the patient is suffering from an early stage of cancer. If this happens, proper treatment may not be recommended until the disease has spread and conventional chemotherapy or radiation therapy would no longer be possible. In the case of bone fractures, a misdiagnosis could result in serious consequences for the patient, who may be told that resting and recuperating is all that is required for what appears to be a sprain. In most cases a tiny fracture that does not show up on an X-ray or CT scan will not result in complications for the patient because the radiologist and primary care giver will assume the worst and treat the injury as a broken bone anyway. But if the diagnosis made is not of a fracture, and the patient later has a serious accident resulting from his or her weakened skeletal condition, a medical negligence lawsuit may have merit. Such a malpractice suit would have to contain clear evidence that the results of the radiology tests were not properly viewed or that results were mixed up with information on another patient. A court would have to hear testimony from other medical professionals as to the conclusiveness of the tests performed and whether the misdiagnosis suit has merit based on the obvious results of said tests.